She was talking about Grammy winner Adele’s breakup with a terrible, horrible, no good boyfriend that broke her heart, and how that breakup gave Adele the fuel she needed to write the album that changed her life and changed the world. It’s a beautiful concept isn’t it? It’s not something we think about in the midst of pain, but creativity has the power to heal if we let it. What experiences in your life can you put to good use? How can sharing those experiences through your art impact the lives of others? I answer those questions in my guest post for Missy’s blog in her “One Letter” series, and talk about my relationship with my mom, the letter she left me, and the one letter I would love to leave for my own daughter some day. Happy Friday! I have only one lovelink for you today, and I’ll be honest : it’s my own. I contributed a post for Leigh Kramer’s blog series about how my husband Matt and I started dating six years ago today! We’ve been married since August 2009, but on February 10, 2006, I told Matt I’d be his girlfriend. Cute, no? 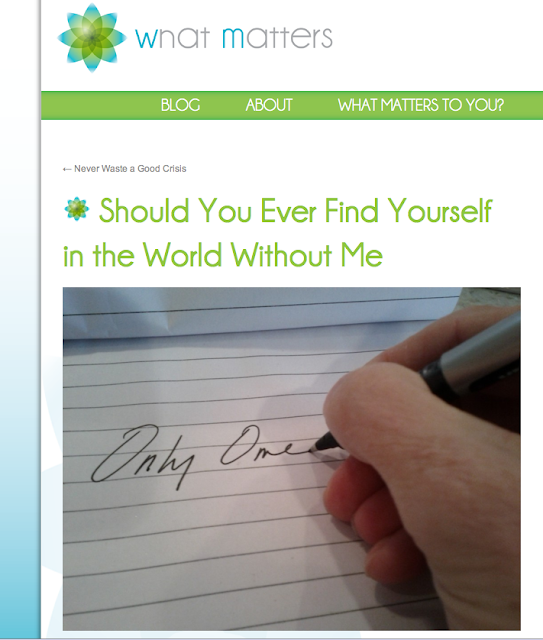 So head on over and check it out, leave a comment and get to know Leigh’s blog. She’s a lovely writer and sweet gal. 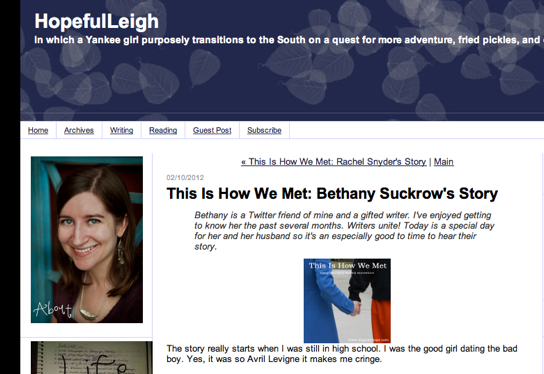 I really appreciate the opportunity she is giving to other bloggers to share their love stories. A special Valentine’s Day edition of my usual “Inspired By” series will be up next Tuesday. Have a good weekend, loves. I feel the wind in my face. I see nothing but space, color and light. 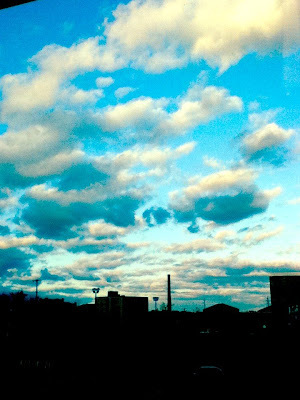 I drift as the sky carries me away. I close my eyes and savor the moment. I feel the warm light against my face. I begin to soar, up and down, all around. I drift away as the sky continues to open. I find even more colors above. I continue to drift in the heavens. As I drift towards you. Jim Woods is a dreamer, writer, and guitar junkie living in Nashville. Jim writes to inspire others to pursue their passions and follow their dreams. You can read Jim’s blog at www.unknownjim.com. Today’s poem was written by Write Practice blogger Joe Bunting, and we’re bringing a little bit of the Write Practice process to Writes & Rights. This is Part I of a two-post dialogue about what makes a poem good. Tomorrow I’ll share a new poem I’ve written over at Write Practice, but for today, we’re looking for constructive criticism on Joe’s piece. So share your thoughts- what parts of Joe’s poem stick with you, resonate and tap into your innermost thoughts? Or does it? What parts of the poem are effective, and what parts need work? Do the imagery and message behind it speak clearly through Joe’s language? Join the conversation about good poetry. in the red branches of the shrub? flower quilted hill—did you look close? Did you notice each flower is the size of an ant? Did you notice each is shaped like a stretched out bell? Did you see the millions of ant-sized yellow bells? If not, where are your eyes? Where are your eyes and where are your feet? Did you dance while God played the pipe in those red branches? Did you weep when God played a sad song in that pile of leaves? And did you see the old man dressed in a cornflower gown? Or the old woman wheeled against the wall? He stares dead ahead. Drool drips down her lip. Old man will you teach us to dance? Old woman will you teach us to weep? branches of a shrub I do not know the name of. Maybe then you will learn to see. Joe Bunting heads up The Write Practice, a blog of writing prompts for people who don’t do writing prompts, where he considers himself the community editor. As a day job, Joe is a ghostwriter and canopy tour guide. (seriously. he hangs out in trees all day long.) Follow him on Twitter. Woohoo! Guest Post | Un-Growing Up. 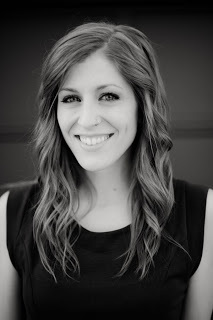 Today’s guest post from Brynna Lynea King is dear to my heart and very close to my own story. If you’re a twenty-something like us - or any age for that matter - and still trying to figure out how to be a grown-up, this one is for you. Or have you had an epiphany like Brynna’s? We’d love to hear how each of you are working towards un-growing up. Recently, I became a writer. Oh, well, that’s not quite true. Let me start again. One month ago, I finally decided, once and for all, to be a writer. I started a freelance business that I hope grows into something fabulous. Here’s the thing, though: I have written since I learned to write, which was nearly 20 years ago. I won writing contests in elementary school and had an original poem chosen for publication in high school. I majored in writing and literature. I’ve been a contracted writer for a marketing agency for over a year. So what is the difference between that and what I’m doing now? Is it that I made an announcement, or named a business after myself? No. My identity as a writer is not a company name or a website or business cards or professional headshots. These may have helped me convince myself, but they came after my decision was made. The reason I am choosing to be a writer is that, after a lifetime of self-doubt, I realized that I was at risk of letting my dream slip away. And getting in the way was “real life” – or, what I imagined real life meant. I “grew up” four years ago. I transferred colleges to focus on my future. Then I got engaged. After that, I graduated. In barely over a year, I had gone from being an art-bleeding, hard-partying singer-songwriter and the keyboardist in a reggae band to transferring schools, cleaning up my act, and planning a wedding. Soon, I found myself applying to graduate school to be a teacher – because after all, what does one do with a writing degree? But then came the trouble. I had a wonderful husband and a neat, pretty life. But it wasn’t nearly as fulfilling as it was supposed to be. In my junior high classroom, I felt like a kid trying to act like a grown up in front of other kids, unable to be myself — my not-really-very-grown-up self — for fear of seeming unprofessional or losing respect. And I was wearing slacks. At home, I was attempting to play perfect housewife, overwhelming myself with assuming all household responsibilities because I thought that’s what good wives do. I found myself in the midst of a violent, self-inflicted identity crisis based on my own assumptions about what it means to be an adult — assumptions that almost cost me my dream and a huge part of myself. The truth is, I’m an artist. I’m a writer. I have trouble picking up after myself, and sometimes I enjoy a little chaos. And so, to balance the pendulum, I’ve been working on un-growing up — just a little. Here are a few things I’m learning. “Growing up” does not mean becoming someone you’re not. Are you becoming a better version of the REAL you? I can try to be a neater neat freak all I want. But I am not a neat freak at all. Un-growing up here means letting go of selves I sometimes wish I was, and working purposefully on improving the self I am. The real grown-up qualities of responsibility, wisdom and maturity are good, necessary things. Add these to your true self; no made-up self can wear them nearly as well. Growing up does not mean achieving perfection. You’re driving yourself crazy. And I guarantee your spouse, boyfriend, or best friend is also growing weary of your constant pursuits in the direction of perfection. Repeat after me: perfect is boring. Some synonyms of “boring” are characterless, colorless, drab, and lifeless. When your goal is perfection, you miss out on creativity, which is almost always messy and never perfect. Perfectionism robs you of life and joy. Growing up does not mean you can’t have fun. One night fairly recently, I got mad at my husband when he told me he only likes doing chores when he can make them fun. To me, this sounded immature and irresponsible. Really? If chores can be fun, why shouldn’t they be? Stop taking yourself so seriously. Un-growing up is letting go, deciding for yourself, and enjoying the process. It’s throwing out expectations, unrealistic standards and, most of all, rules. Rules like “you must major in something practical” and “you can’t have any fun once you have kids” and “wash your sheets every week.” Says who? Take your three-month-old camping. Major in underwater basket weaving, if that’s what lights your fire. And surround yourself with people like my amazing husband who will make sacrifices (like washing the sheets) to support you in your dream, because it’s what you have to do. I didn’t decide to be a writer until I realized I might have to spend my life doing something else. I might just grow up and leave writing behind. No, thanks – I’m going back for it, and it’s coming with me. 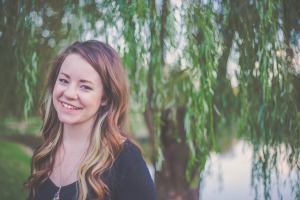 Brynna Lynea is a freelance writer and blogger at brynnabegins.com where she blogs about her creative process, taking chances, learning new things, pursuing projects and dreams, and leaning on the grace of God. It is about enjoying today and not worrying about tomorrow. It’s about paying attention to the process. 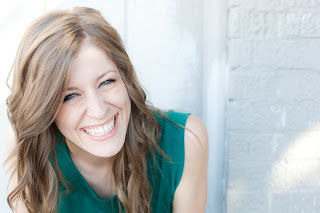 Check out her stellar freelance website or follow some of her everyday musings @brynnlynnea.